Events for 2017 with "Plant Your Dream Seeds"
Events for 2017 with "Plant Your Dream Seeds." 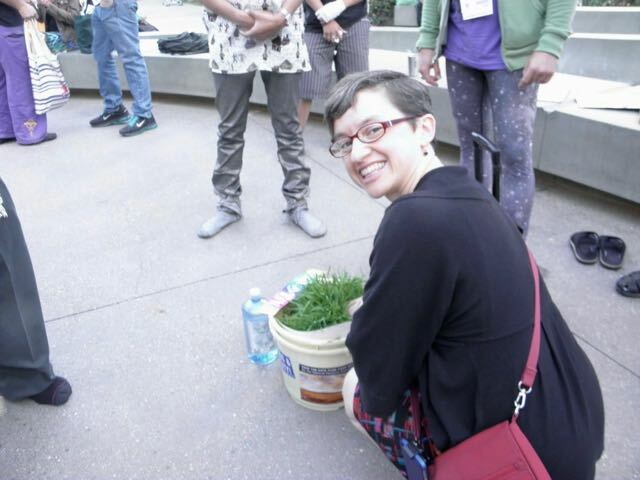 I will be planting dreams at the Scripps Natural Supplement Conference. Speaking the word about communing with nature, Nature Responded. The weather shifted while this live feed was being made. Another experience with "Nature listening" occurred on October 9, 2016, previous to the Day of Atonement in the Jewish tradition. This incident was recorded on a livestream video we shot, at the Terra Madre Gardens in Escondido, California. It was a very hot day, when David Solomon, Adrienne Prince and I gathered at the farm. 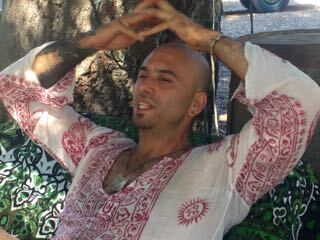 We were consecrating some rows of ancient wheat that David had invited to grow, in the spirit of creating a renaissance of ancient Essene Teachings. There was no breeze that day, but as we spoke of what we were doing, a strong breeze responded to the words I was speaking, It was as if Nature was giving a big "Yes!" You can witness the shift in weather here, in the video. Visiting Terra Madre between Days of Awe was a special day playing with the nature elements that were responding to our work. The early years of our work with KAMUT Kernels of wheat were inspired by an awareness that not only was Pizza the most popular food in America, but that Congress, under the influence of food suppliers, had in 2012 declared that two ounces of tomato sauce qualified pizzas as a vegetable. 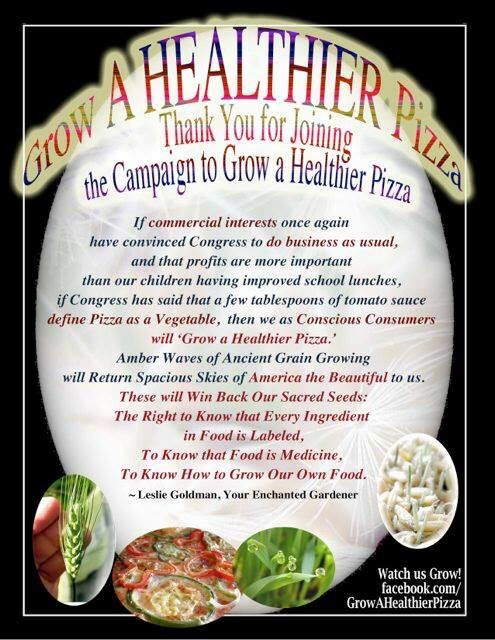 Thus was born our Campaign to Grow a Healthier Pizza. In 2017, we will harvest a stand of Khorasan wheat grown from KAMUT International quality kernels of ancient wheat. We will hand grind the kernels into dough. One key to a healthier pizza is giving the dough the time to naturally ferment. The natural fermentation process is key to digestible bread as well as pizza. The body reacts to wheat that is not properly fermented and the quality of the kernels is also a part of an anti-inflammatory body response. The grinding of the kernels into flour is an enlightening process, and turning the dough into a finished digestible product is inspiring. Thank you to Terra Madre Garden. March 8-13, 2017 are my show dates for @ExpoWest, The Natural Product Expo West, held at the Anaheim Convention Center. I like to arrive a day early to get settled for events that begin on Thursday, March 9 and run through Sunday March 12. I stay a day later to do an event I have created, called "Organic Day at Downtown Disney." It's usually just me and Mickey Mouse who show up, but that is plenty. We meet outside the Jamba Juice and have a wheatgrass. Jo Dickson for many years has worked for New Hope Natural Media (now New Hope Network), the producer of the Natural Product Expo West. Jo is a key person for me at the show, when I get to see her once a year. Some years, she has been manager of the Show Office. The Natural Product Expo is the official kickoff for my yearly campaigns. Years ago, I gave the gift of baby herb plants to Jim Tripp, who supervises the Anaheim Convention Center Kitchen. I planted the idea, "Grow an herb garden!" Years later, there is a rooftop garden at the Anaheim Convention Center. It all started with sharing a dream. HOW FAST CAN A DREAM GROW? AS FAST AS A BLADE OF GRASS? 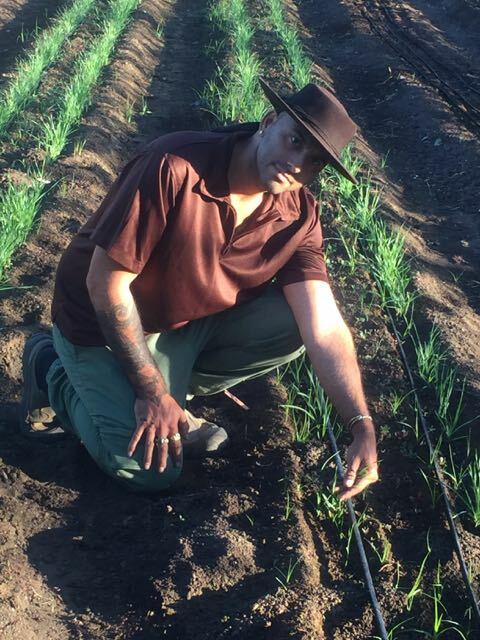 This is a photo taken at Terra Madre Gardens, Escondido, California, where a row of ancient Khorazan wheat plants are growing out from KAMUT International organic and non-GMO seeds. I travel to the National Heirloom Expo. on the Enchanted Garden Mobile's Journey to Win Back Our Sacred Seeds. November 2-5, 2017. A Pre and Post Conference generally is held two days before and after the conference. 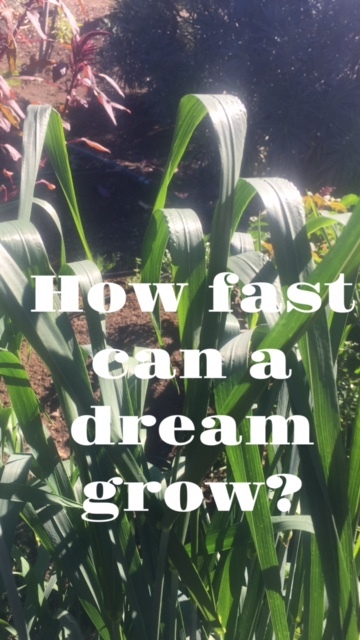 I sense that the #PlantYourDream Ritual that I explain in this post can help us plant new dreams in harmony with Soul Growth. 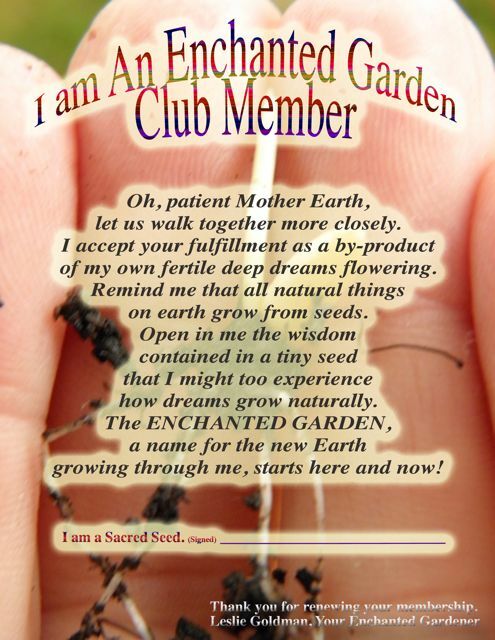 The "Winning Back Sacred Seed Starter Kit" is a centerpiece of our 2017 Plant Your Dream Campaigns. 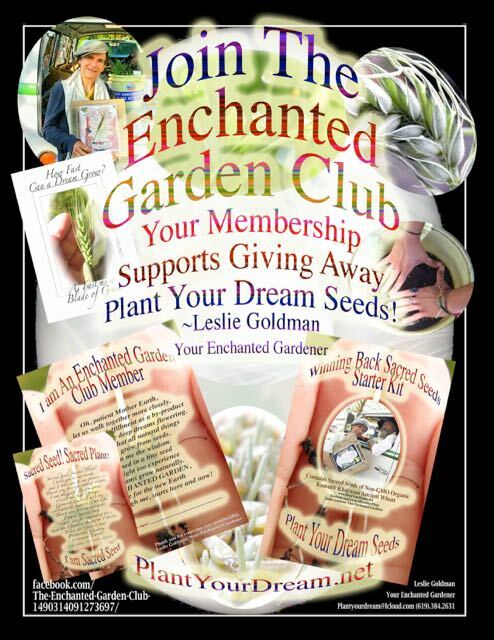 Campaigns are supported by Sponsors and Members, who join the Enchanted Garden Club. More than 4000 seed packets were given away in its first two years of spreading awareness. Growing Plant Your Dream Seeds is an important way to focus intentions, as a way to witness to our literal dreams growing. Thank you to our Sponsors and Enchanted Garden Members for making this work possible. THIS #PLANTYOURDREAMBLOG IS A COMPILATION. CHAPTERS CAN BE FOUND AT THESE LINKS AS WELL AS BELOW. THANKS TO PIONEERS BOB QUINN AND JERE GETTLE FOR HELPING PRODUCE THE "WINNING BACK SACRED SEED STARTER KIT" CONTAINING "PLANT YOUR DREAM SEEDS"
PROJECTED EVENTS FOR 2017 WITH "PLANT YOUR DREAM SEEDS"